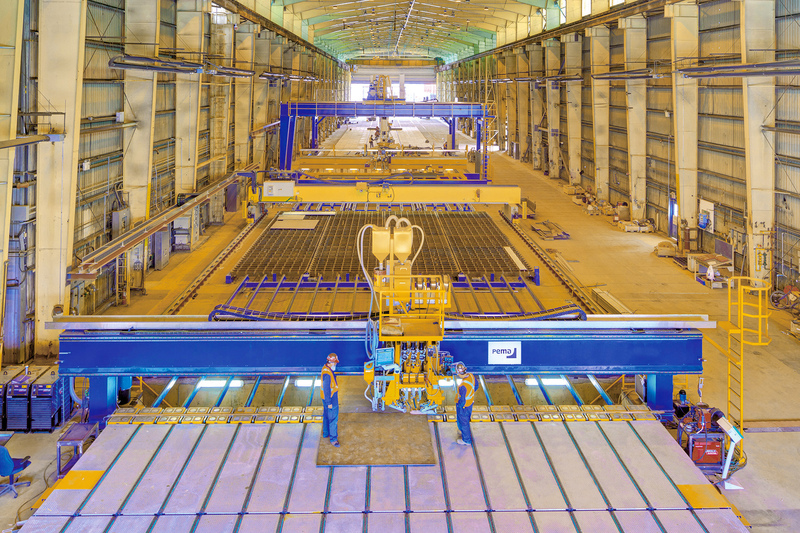 As a part of Seaspan Shipyard’s modernization project, Seaspan selected PEMA welding automation equipment for their panel production. The National Shipbuilding Procurement Strategy is an initiative of the Canadian Government to build new ships for the Royal Canadian Navy and Canadian Coast Guard. Seaspan’s Vancouver Shipyards won the right to bid on the non-combat vessels under this strategy, and as such is proceeding with a $200 million Shipyard Modernization Program to support execution. 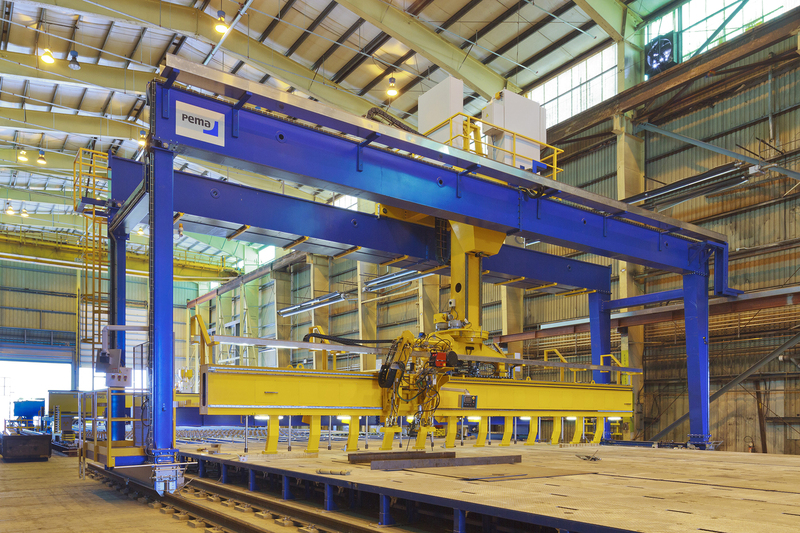 As a part of modernization project, Seaspan selected PEMA welding automation equipment for their panel production. The contract includes a PEMA one-side welding station and stiffener mounting and welding stations equipped with hi-tech PEMA WeldControl 100 system. The line is also equipped with a special covered conveyor solution to make working on the line safer and to transport welded panels smoothly. This new line will substantially increase the shipyard’s productivity and its competitiveness in the market. Seaspan chose the PEMA automation due to the strategic co-operation between Pemamek Oy Ltd. and Lincoln Electric Co. The PEMA welding automation lines use Lincoln PowerWave welding power sources. Lincoln and PEMA equipment together made the solution unique and suitable for shipyard’s needs. Conveniently located to serve the Pacific Northwest’s marine industry, Seaspan’s full-service shipyards in Vancouver and Victoria, British Columbia are committed to the highest customer service and safety standards. The yards provide reliable service, quality craftmanship, and quick turnaround. Seaspan Shipyards are certified to ISO 9001:2008 for quality, ISO 14001 for environment and OHSAS 18001 for safety by Lloyd’s Register. Seaspan’s shipyards have successfully completed new construction, conversion, refit, repair, life-cycle maintenance and refurbishment projects on naval and commercial vessels including cruiseship conversions, work on deepsea vessels and containerships. They specialize in new construction of and repair work on ferries, Coast Guard vessels, naval ships, barges, tugs, yachts, fishing vessels, Arctic Class and research vessels of all types and sizes.